Check here often for the latest news on Approach Aviation's newest products! The FlexAlert Multifunction Annunciator is a compact, all-in-one multifunction display that places critical warning and condition annunciations directly in front of the pilot to increase safety, save money and simplify panel layouts. The sunlight-readable, dimmable LED display includes Landing Gear Status for both land and seaplanes as well as warnings for Engine, Oil Pressure, Fuel Pressure, Low Fuel, Pitot Heat, Low Voltage, Over Voltage, Alternator Failure, Doors, Starter Engaged, Vacuum Failure and Autopilot Glideslope Capture. An integral test feature is also included. The FlexAlert Multifunction Annunciator can save over $1,000 and 50% of the installation time compared to individual or customized annunciators due to the FlexAlert patent-pending Single-Wire Sense technology. In addition, the FlexAlert photon-separator LED display technology is significantly brighter and more reliable than incandescent lamps. The Aviation Safety Reporting System receives an average of 60 gear-up landing reports per year and one of the factors responsible for these incidents is the lack of clear visual annunciation in the field of view of the pilot, said Jeff Simon, President of Approach Aviation. 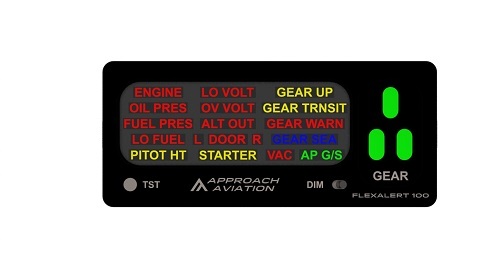 The FlexAlert Multifunction Annunciator consolidates gear status, as well as many other critical alerts, directly in front of the pilot and with the clarity one should expect of modern avionics. It is a great addition when upgrading to ADS-B or as a standalone flight-safety enhancement for both retractable and fixed-gear aircraft. At only 3.0w x 1.3h, the FlexAlert Multifunction Annunciator is compact enough to fit almost any panel. It is configurable out-of-the-box for both retractable and fixed-gear aircraft and can operate on 14V or 28V aircraft systems with no modifications. 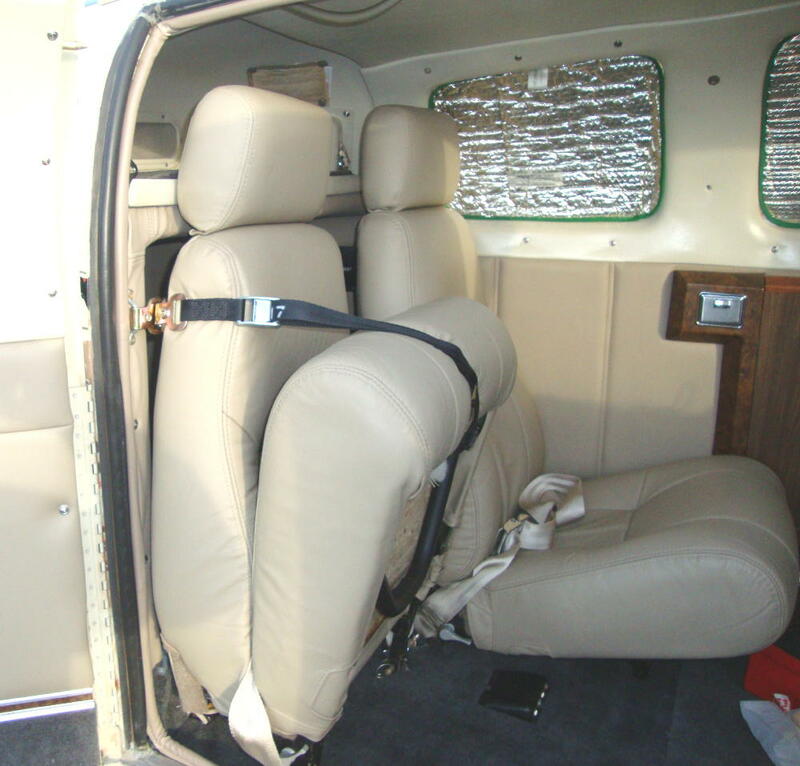 It is certified for installation in Part 23 aircraft as a minor alteration when used for supplemental purposes. Kit includes flush panel mounting bracket options for top/bottom supports as well as left/right supports. FlexAlert Multifunction Annunciator shipments will begin August 1st at the special introductory price of $699. For more information, contact Approach Aviation at 877 564-4457. Approach Aviation is pleased to announce that we have just received STC/PMA for our new SmartSpace baggage conversion for pre-1979 Beechcraft 36/A36 aircraft, providing owners of these aircraft with the increased utility of the latest Beechcraft Bonanzas. 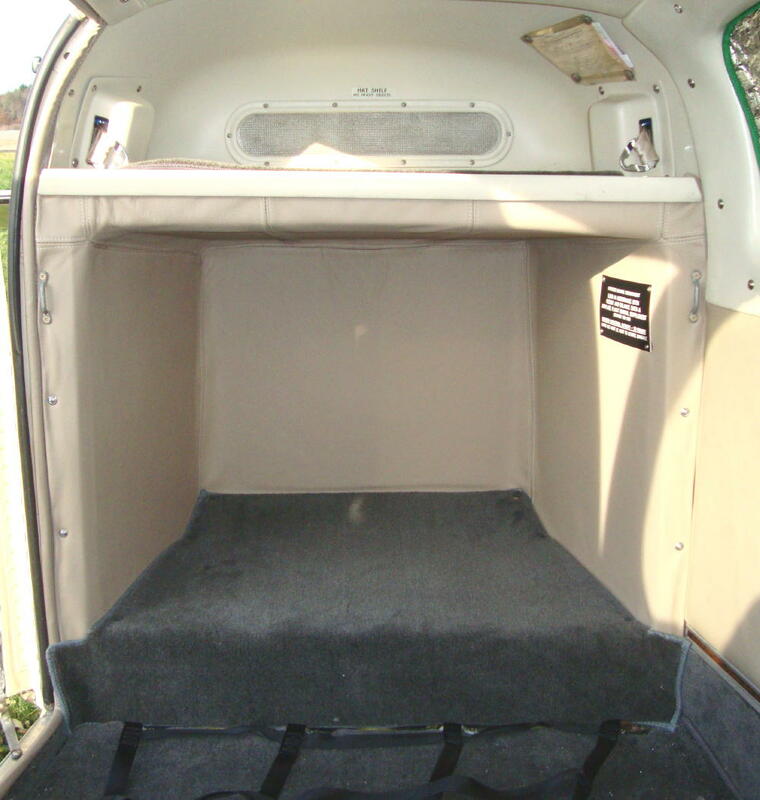 The SmartSpace baggage conversion installs behind the rearmost passenger seats in the Beech A36, adding approximately 8 cubic feet of storage area, while retaining the existing hat shelf area for easy in-flight access to smaller objects. The SmartSpace baggage conversion has a footprint similar to post-1979 A36 aircraft and is certified for the same 70lb maximum loading capacity (C.G. Envelope limits must be observed). The SmartSpace conversion's patent-pending design makes installation simple, typically requiring one day to complete. No rivets or other modifications are made to the skin of most aircraft, so the aircraft's exterior finish is unaffected by the installation. The modular design of the SmartSpace conversion makes future compartment removal/installation possible in a matter of minutes, simplifying inspection and maintenance operations. The SmartSpace baggage conversion kit includes the support components, single-piece compartment, cargo net and all hardware necessary for typical installations. 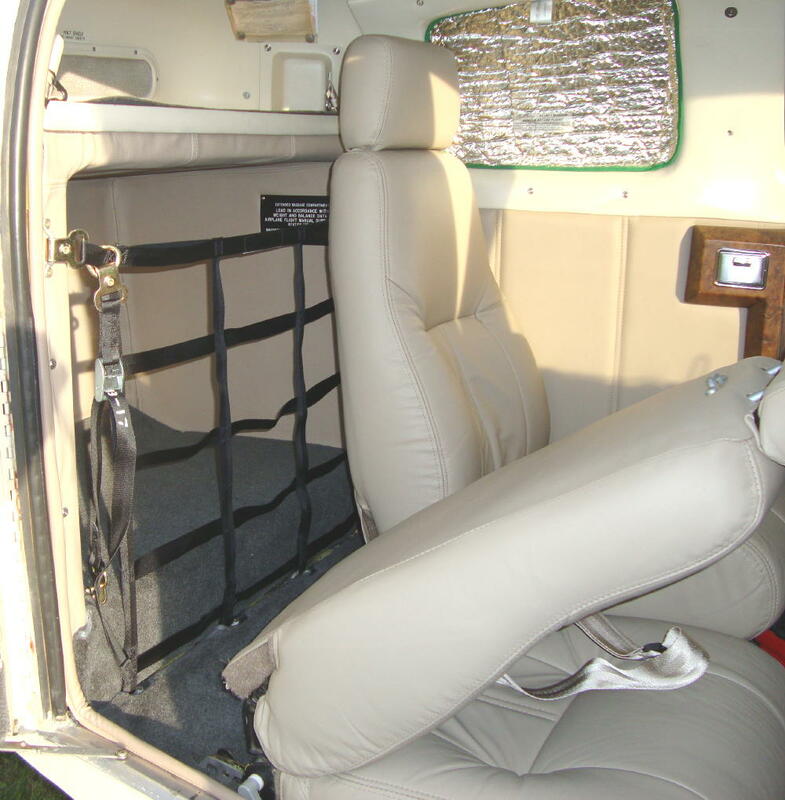 In addition, the innovative cargo net design combines the baggage restraint with new seat straps for securing the rear seats in the folded position. Introductory pricing for the SmartSpace baggage conversion is $4,999. Kits are in-stock and ready to ship! "It's difficult to find anything in aviation that gives you excellent quality at a reasonable price. I believe you will find (the videos) to be one of those rare bargains!" "What makes the video unique is that it answers questions about basic things that pilots might be afraid to ask in person." "The Educated Owner is aimed at the owner of a production aircraft, but the skills it teaches apply to anything that flies." "At $34.95, it may be one of the best investments you ever make." "Unless you're one of the few pilots who'd like to give even more money to your aircraft mechanic, take a look at volume one in a new series of videos from Approach Aviation. "The production values are good, and the information is presented clearly enough for even the most tool-challenged aviator to save money and get some piece of mind about the mysteries under the cowling." "Just sat down this evening and watched my new Educated Owner's Guide to Preventative Maintenance video. There's plenty of ways to waste $30 in aviation, and this is NOT one of them." "Even if you never plan to pick up a wrench, you'll feel better about those checks you write to your mechanic." Copyright©2001 Approach Aviation All rights reserved.